Some people need no introduction. You are one of them. 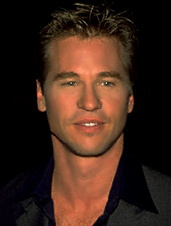 Val Kilmer is another. He's in town to discuss his upcoming film project on Mark Twain at the Mary Baker Eddy Library this Thursday night. We sat down with him to talk about new projects, Doc Holliday and what Iceman and Maverick would do with a few nights in Boston. 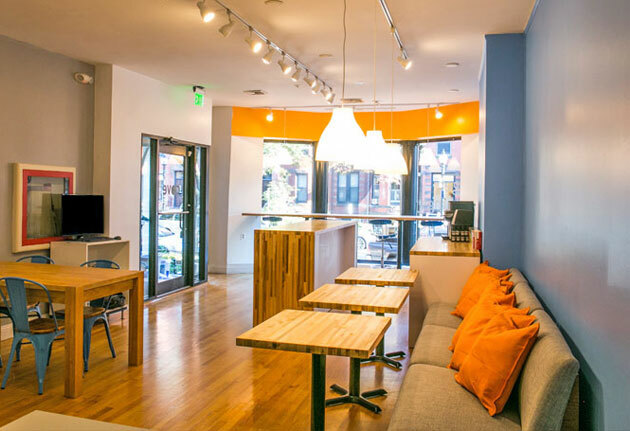 UD: Got a favorite area of Boston? VK: I had a great friend who used to be a coach at Harvard and we'd use the indoor tennis courts at Harvard, so afterwards we'd always wander around Harvard Square for all those great restaurants and pubs there. I'm also a ribs guy, and there are some great spots here. When just walking around, I love the Fens. It's such an unusual park. UD: Boston is known to be protective of celebrities who profess a love for the city. VK: I noticed that. I've always had a great time here. There's an attachment to the city not only because of its history, but the energy with the college scene here. And it's interesting as an actor, because there has been this craze of actors leaving the industry and coming here to go to Harvard. Although I think Matt Damon left Harvard to get into acting. UD: Which led to Good Will Hunting, which Boston loves. VK: It was an amazing film and he [and Affleck] did such a great job writing it. Probably Robin Williams's best performance he's ever done. Did he win for that? UD: Yeah, he got an Oscar for his role. VK: It was really great. And my friend Bill Monahan did an amazing job adapting the script from the original Chinese films that were behind The Departed. Really amazing. Although, you saw it, right? Did you think if you were one of the bad guys you may have suspected the "rat" was the new guy in the crew? It's like: there's a rat. And there's a new guy. And nobody just suggests it may be the new guy. I mean, how hard is it? Just in case there's a mole in your operation, it may be the new guy. But it was amazing. UD: Indulge us: favorite characters? VK: Doc Holliday in Tombstone, I have a real affection for. Kurt Russell and the rest of the cast were a great gang. And Jim Morrison, not just for the whole world of the Doors, but at the time a lot of the film techniques that Oliver Stone was using were brand-new, and are very common now. He was experimenting with them, the quickness with the editing and some of the techniques he later perfected in Natural Born Killers. UD: MacGruber. The film. Awesome. Let's hear about it. VK: I play the bad guy, Dieter von Cunth, and it's very silly, totally ridiculous. It will probably always be the funniest read-through I've ever been to. Will Forte is pulverizing as this guy, shockingly funny with how he takes his delivery to the extreme. And Kristen Wiig is the opposite, so subtle. She'll never be imitated because her delivery is so original and strange and her timing is perfect. It's not like anybody. It's hard to say that. Will is a complete cliché, he imitates everyone, all day (laughs). You can print that. UD: Love your line of blankets. How did you get started with those? VK: I thought it'd be fun to get Native Americans involved to make a contemporary version of those classic-style blankets, to mix classic symbolism and patterns of the West, where I live. I hope to have it become a successful little company and then turn it into a nonprofit. Like Paul Newman's Newman's Own. But I'll call mine the KilmerZone (laughs). UD: You're going to be playing Mark Twain. Were you already a fan? VK: Yeah, he was a genius. I had become interested in the relationship between him and Mary Baker Eddy almost 10 years ago when this library was built, and I had been on a parallel course, sort of researching Mark Twain and perusing a one-man show about him. If you come by on Thursday you'll be the first to get a taste of what's to come. It'll be the first time I'm performing Mark Twain in public. UD: There was a point in your career where you could have exploded into leading-man status, but you went a more interesting route. Thoughts on being a Hollywood rebel? VK: Well, I never lived there, so you can't be a rebel if you're not there rebelling. A lot of the silliness written about me back in those older times was really in reaction to how much I cared about the roles I was in. Most of the time, when you hear about an actor's career, you hear about an actor not coming to work, or lighting their trailer on fire, or flying off to Hawaii with their girlfriend, or drugs...but there's never been a story about me being irresponsible. I started doing smaller roles just because they were in New Mexico, or just in LA, or just available. UD: Is that how your role on Entourage came about? It was pretty great. VK: Yeah, that gets talked about a lot. I'm happy people liked it. It's also based on an actual person. UD: Last question: it's 1986. Maverick and Iceman, now friends, have just set foot in Boston on leave with a three-day pass. Give us a rough agenda. VK: That would be an impossible question for me to give an entertaining answer to. Something around Fenway Park maybe? They'd probably just play volleyball outside. They had that volleyball scene in Top Gun. Is there outdoor volleyball here like in LA?